It’s so difficult to find a recipe for family dinner that everyone at the table will enjoy. It’s even more difficult to find such a recipe that’s easy enough for those hectic weekday dinners. 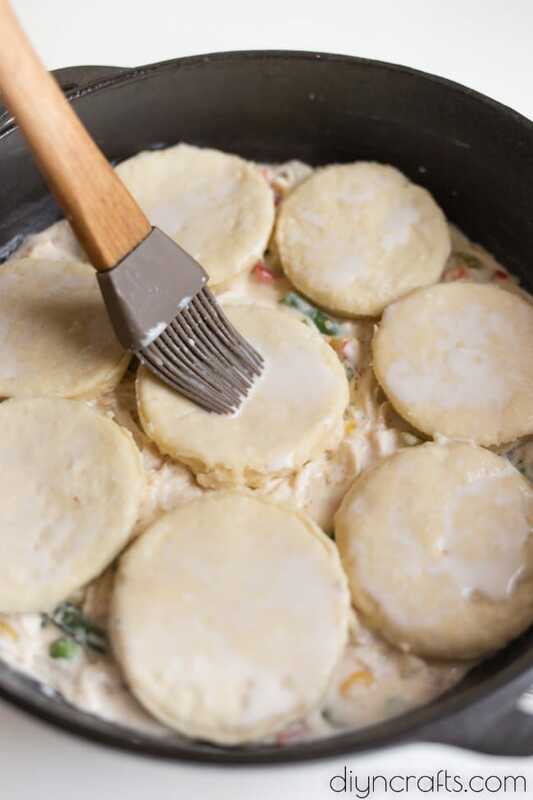 This amazing cast iron chicken pot pie meets both of those needs. In just under an hour, you can put a wholesome and nutritious meal on the table that everyone is sure to love. 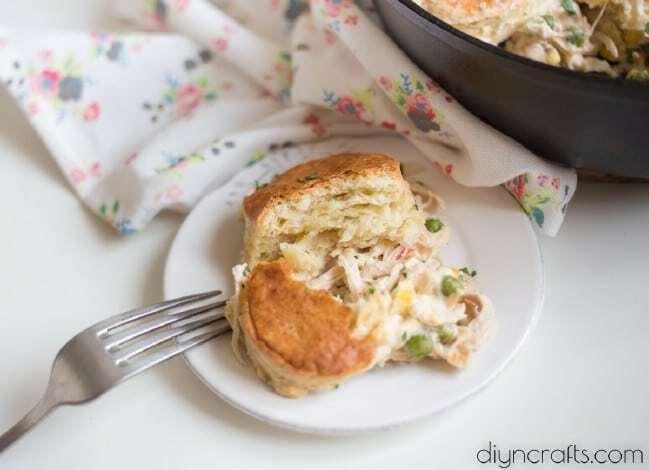 Who doesn’t adore chicken pot pie? 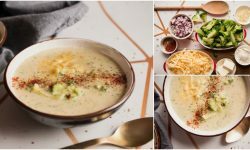 It’s the perfect comfort food for those cold winter evenings, and this one is so easy to make. With luscious golden biscuit topping, it’s definitely going to be at the top of your favorite family dinner list. Oh, and check out these delicious cheese stuffed bacon wrapped chicken thighs – they’re also a huge hit with family members of all ages. Prep time for this delicious pot pie is only 20 minutes. 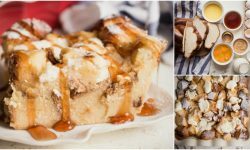 Then you bake it for another 20 minutes and you’ve got a delicious meal on the table that’s perfect for any night of the week. The best part? 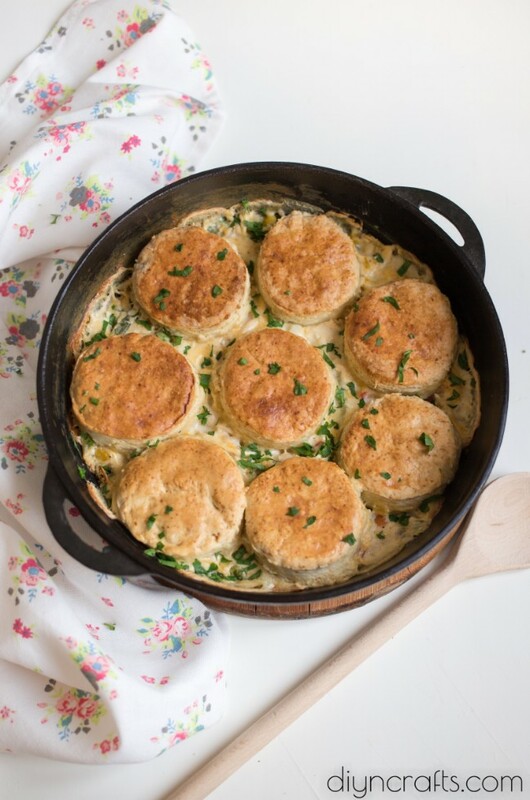 The biscuits on top are made with buttermilk – a country favorite! If you need a tasty appetizer that pairs perfectly with this dish, take a look at these fried cheese sticks with buttermilk sauce. 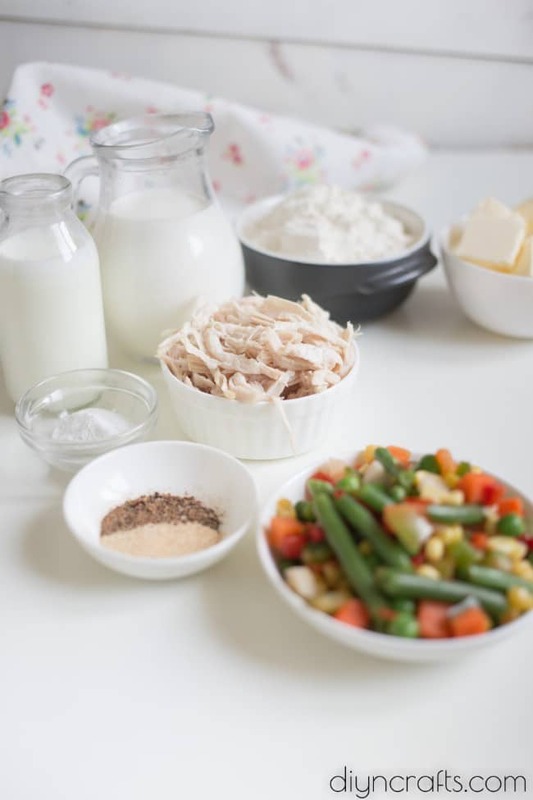 Shredded chicken and vegetables make up the pot pie portion of this delicious dish, along with some cream and seasonings. Cooking it in an iron skillet gives it a great rustic country appeal – think how your grandmother used to cook. The entire recipe is so yummy and so easy since you don’t actually have to create crust. 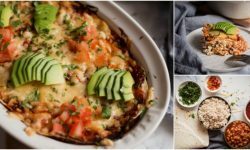 I love easy recipes for weekly dinner meals and this one has certainly become a favorite at my house. I hope it does at yours, too! 1. You may use store-bought biscuits but for the homemade version whisk all the dry ingredients together. 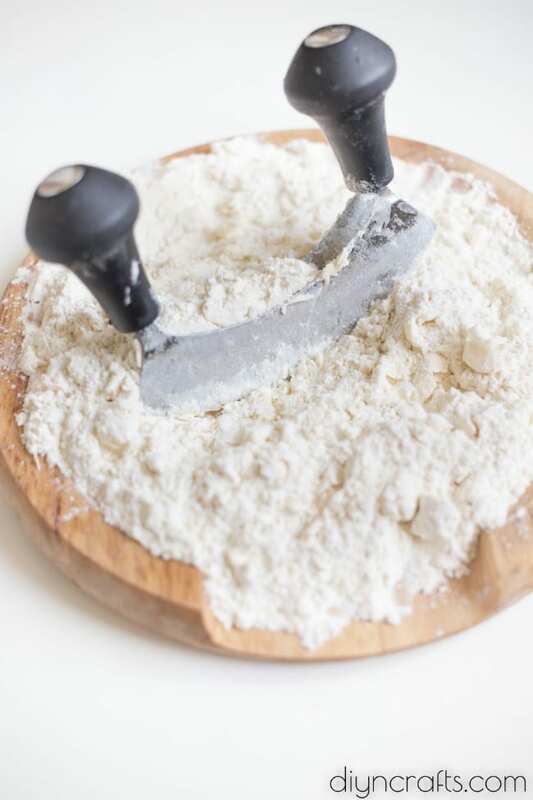 Cut cold butter into flour using pastry blender or half-moon shaped knife. Pour in buttermilk and stir to combine. 2. Pat dough into triangle. Fold all three corners on top of each other, turn over, press with your palms and repeat two times more. 3. Roll the dough 1to 2 cm (1/2 inch) thick cut out 8 biscuits. 4. For the filling, fry mixed vegetables for 3-4 minutes, season with salt, pepper and garlic. Sprinkle with flour and stir. Pour in cream and let the filling thicken. 5. Top filling with biscuits and brush with a little bit of buttermilk. 6. Bake at 220 C (425 F) for 20 minutes. 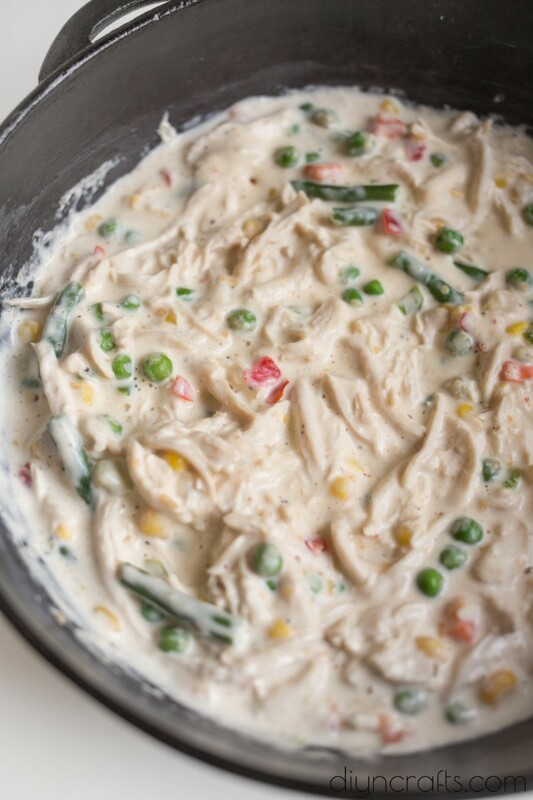 Shredded, chicken and mixed vegetables combine with spices for a wonderfully flavored pot pie. Buttermilk biscuits are easy to make and delicious to eat. Combine all your ingredients – except biscuits – and add to an iron skillet. 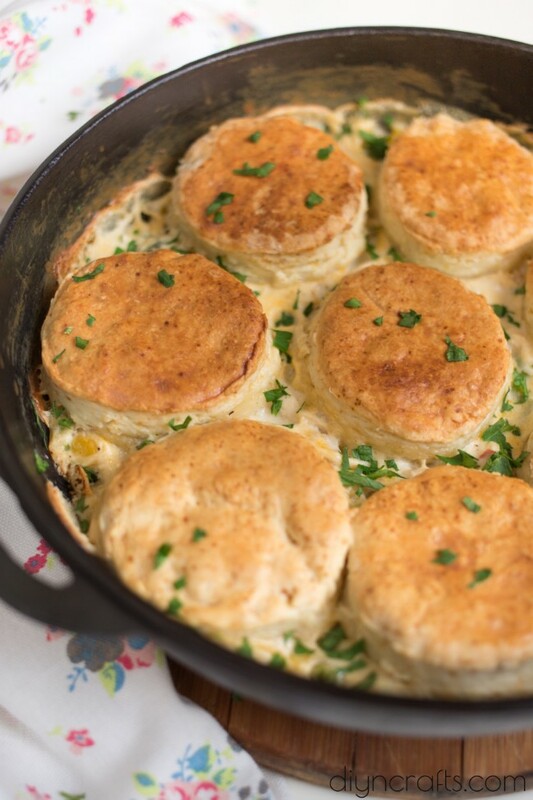 Add delicious buttermilk biscuits to the top. 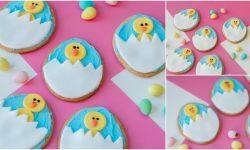 They’re as pretty to look at as they are delicious to eat. Tastiness in every single bite. 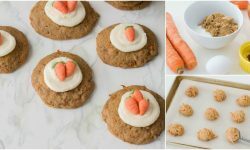 You may use store-bought biscuits but for the homemade version whisk all the dry ingredients together. 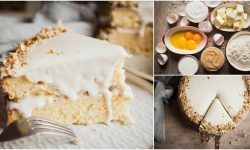 Cut cold butter into flour using pastry blender or half-moon shaped knife. Pour in buttermilk and stir to combine. Pat dough into triangle. Fold all three corners on top of each other, turn over, press with your palms and repeat two times more. Roll the dough 1 to 2 cm (1/2 inch) thick cut out 8 biscuits. For the filling, fry mixed vegetables for 3-4 minutes, season with salt, pepper and garlic. Sprinkle with flour and stir. Pour in cream and let the filling thicken. Top filling with biscuits and brush with a little bit of buttermilk. Bake at 220 C (425 F) for 20 minutes.